From The Coming Of the Third Reich to Storming To Power, from	The Tragedy Of Nazi Germany to Who Financed Hitler, we can help you find the nazi germany books you are looking for. As the world's largest independent marketplace for new, used and rare books, you always get the best in service and value when you buy from Biblio.com, and all of your purchases are backed by our return guarantee. The SS was the terror of Europe. Swearing eternal allegiance to Adolf Hitler, it infiltrated every aspect of German life and was responsible for the deaths of millions. This gripping history recounts the strange and, at times, absurd true story of Hitler's SS. It exposes an organization that was not directed by some devilishly efficient system but was the product of accident, inevitability, and the random convergence of criminals, social climbers, and romantics. 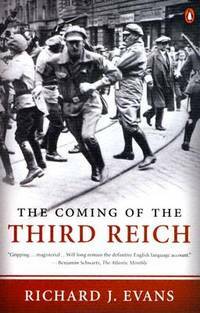 Above all, this eye-opening book describes in fascinating detail the chaotic political conditions that allowed the SS-despite rivalries and bizarre conditions-to assume and exercise unaccountable power.